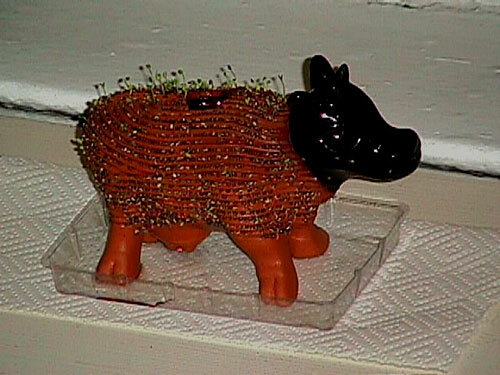 A newer Chia Pet planting took place in early 2009. 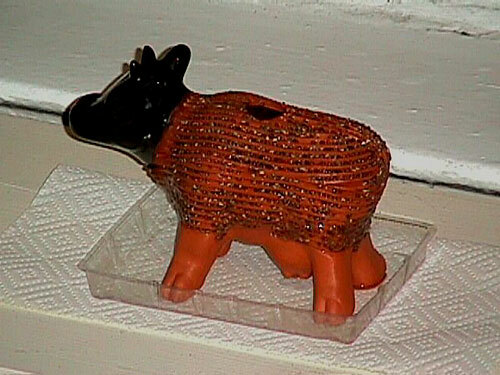 Last Christmas, after enduring years of those Chia Pet ads on TV, I finally broke down and bought one. 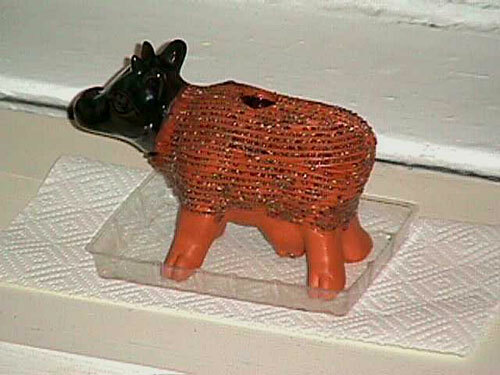 I bought a Chia Cow and promptly set out to “watch it grow”. 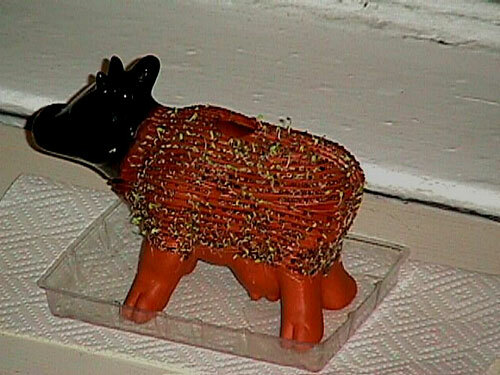 First off, the Chia Pet is handcrafted out of terracotta, and has a glazed head. The body, where the Chia Seeds go, is grooved so the seeds have a place to adhere to the body. 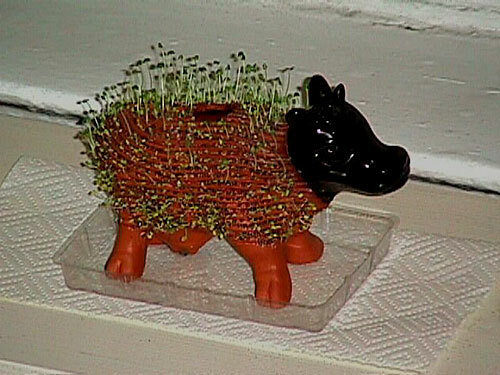 To start off, you need to soak both the Chia Pet and the chia seeds in water overnight. 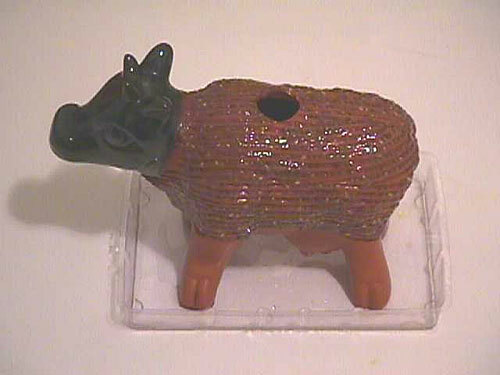 This is to get the terracotta moist since this is how the water gets to the seeds. 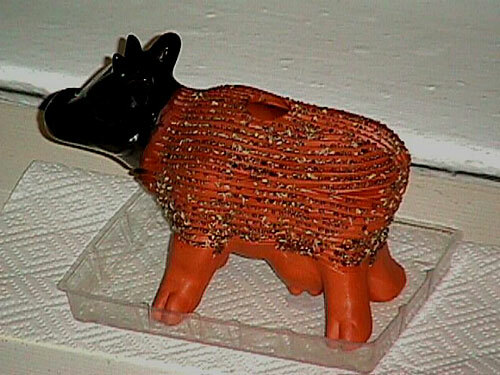 After soaking the seeds overnight in a little bit of water, they form a gelatinous coating which helps them adhere to the pet. 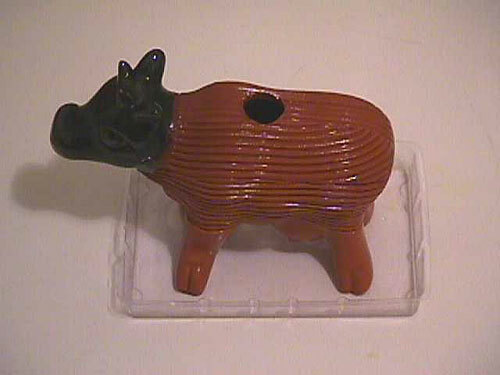 You then spread the seeds on the pet, and keep the pet filled with water. Place it near sunlight, then “watch it grow”! 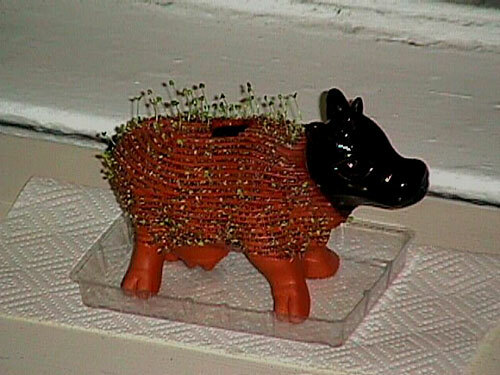 I have “grown” my Chia Pet several times since Christmas, and each time, it gets better. 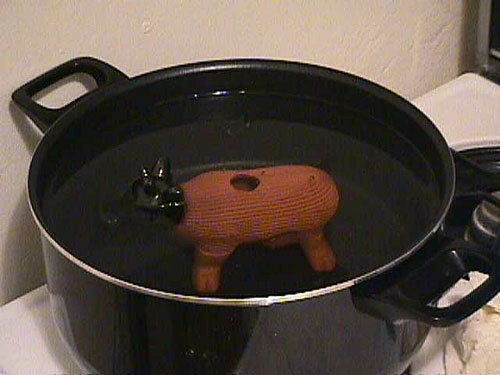 The last time I planted the pet, I placed it in my living room on a table that does not get much sunlight. It grew, but did not get the full coat that they advertise on TV. For this planting, I have decided to place the pet near a window. There is a possible problem with this plan, since the window and surrounding area can get a little cold. Since it is the middle of April, I hope that that is not too much of a problem, but we’ll see. 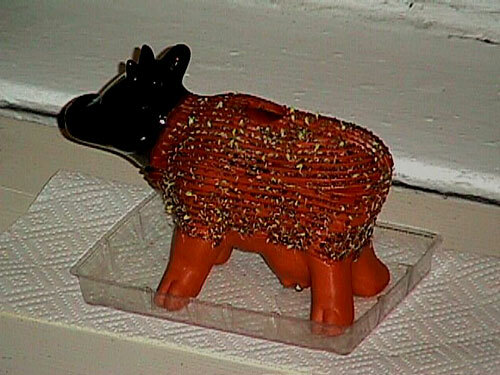 The following is my Chia Diary of my fourth planting, which started on April 16, 1999. 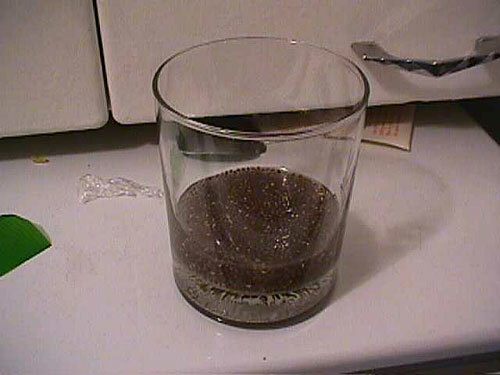 Soaked Chia Pet and Chia Seeds in water to be able to “plant” the Chia Pet the next day. 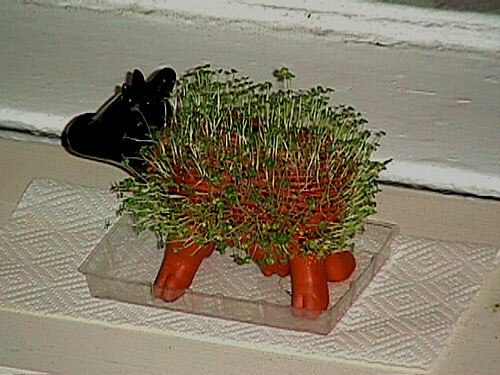 Spread seeds on pet. 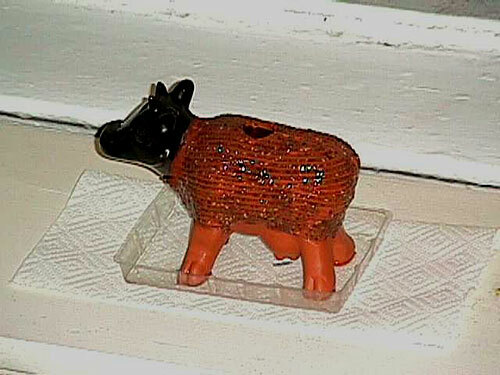 Placed pet near window. Two days into the planting cycle. A few seeds have very small sprouts emerging. Three days into the planting cycle. A few more seeds have very small sprouts emerging. Five days into the planting cycle. A few seeds have small sprouts emerging, about half an inch long. Six days into the planting cycle. There seems to be more growth on the side away from the window. Seven days into the planting cycle. 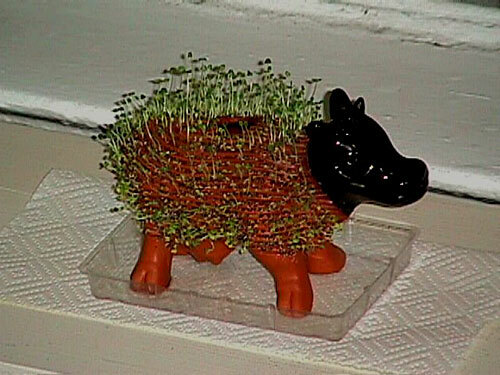 I will be turning the Chia Pet 180 degrees after this picture is taken to facilitate even growth. Eight days into the planting cycle. Nine days into the planting cycle. Growth has increased. Small sprouts seen on almost all sides of pet. Eleven days into the planting cycle. Twelve days into the planting cycle. Fourteen days into the planting cycle. Large sprouts all over pet.